If there is anything to be said about Natsume is that he certainly carries a lot of weight on his shoulders. Even when dealing with people that Natsume cares about there is always the question of how much he can or should tell them about his situation. 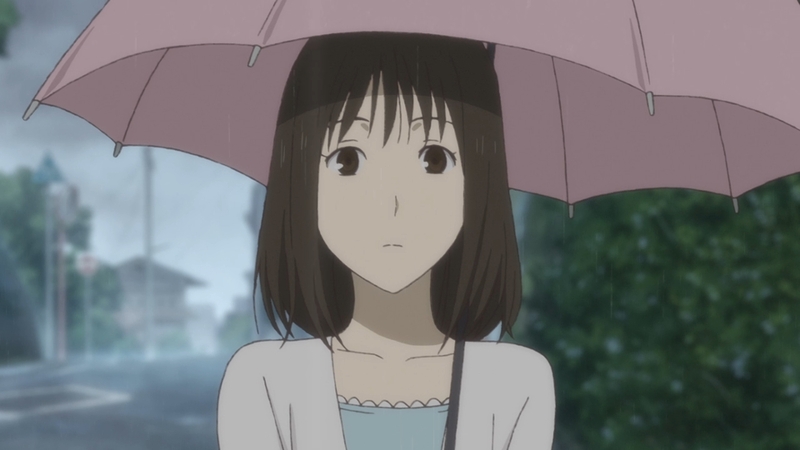 Natsume in the past has struggled in general with opening up to people. But the situation with Natori and the Book of Friends is something else entirely. It isn’t just an issue about Natsume, but one involving all the youkai in the book. I do think Natori is a good guy and can be trusted pretty openly. But it just isn’t that simple. In a lot of ways telling Natori would be putting a burden on him. The Book of Friends is a big deal, even though we really haven’t seen Natsume busy returning names this season. 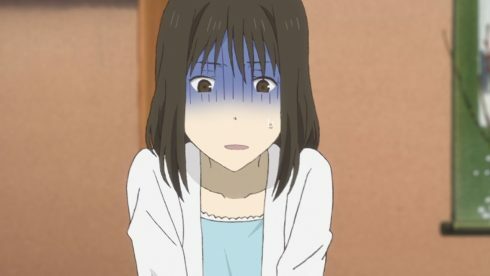 If Natsume tells Natori about the Book of Friends he may be under pressure due to his position as an exorcist to do something about it. 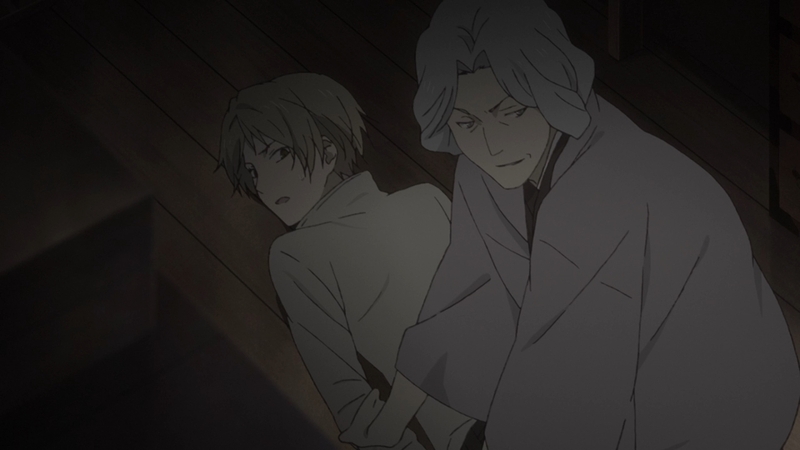 If nothing else the issue may simply be that then Natori would have to keep the secret and he has to deal with a lot of exorcists on a regular basis. He may even feel responsible about doing something about the book if he knew about it. Either way it may simply make things harder on Natori. But, it seems a given that he clearly heard about the book in this episode. I’m just not sure if he simply doesn’t want Natsume to tell him or is patiently waiting for Natsume to feel comfortable with talking to him about it. Natori is kind of a mysterious figure. 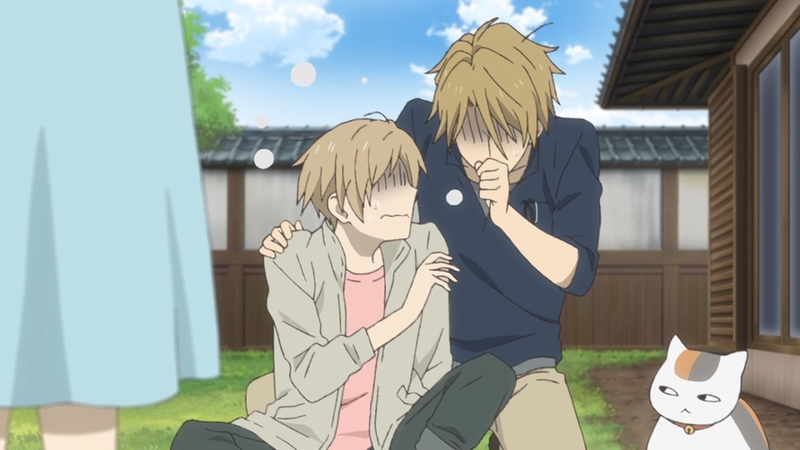 It is clear that Natori does care about Natsume and wants to help him when possible. 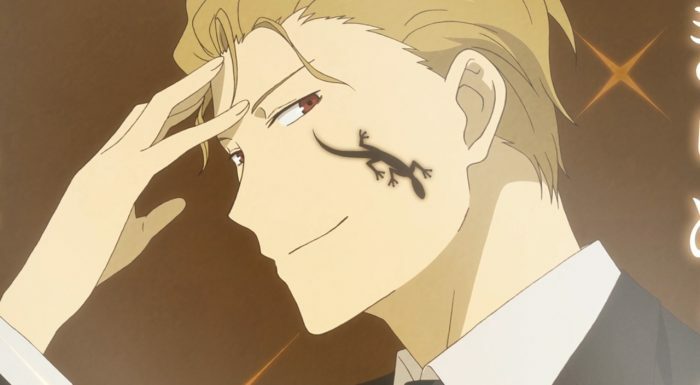 But you do have to wonder with his background and that weird lizard tattoo if he does as a whole dislike youkai. As an exorcist his interactions with them are pretty distinct from Natsume who while having some bad experiences also has good ones. 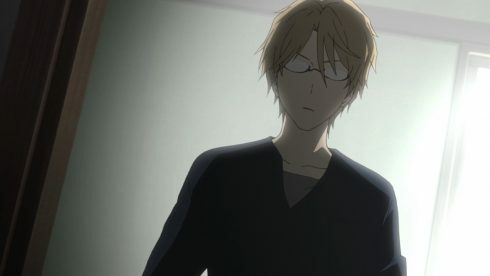 Though I do think his constant interacting with Natsume has shown Natori that the world is bigger than he believed. 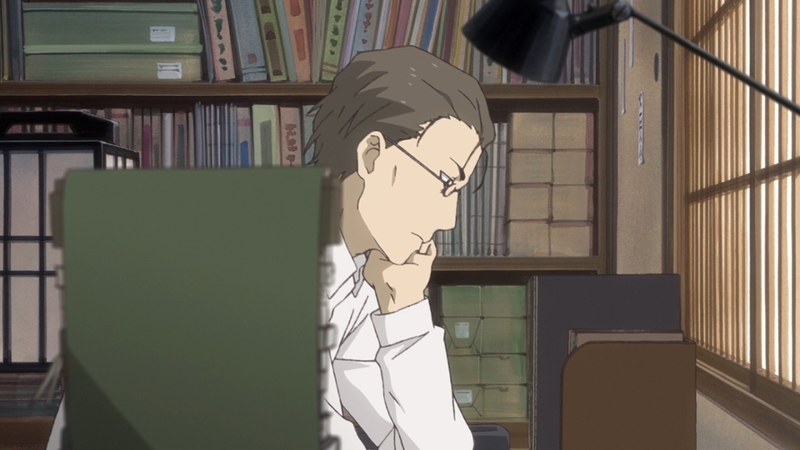 I would like to see him and Natsume sit down and talk about the Book of Friends. But I understand Natsume’s feelings like that would be a dangerous betray of trust with the youkai and potentially more harmful than good. The world of exorcists seems like a plain up scary world. They have to interact mostly with a lot of dangerous youkai and always run the risk of someday losing their ability to see them. That’s just a scary proposition; always having to wonder if a youkai may decide to come after you or your family for revenge. I can understand Tsukiko and her worries. You just never know what any given sound means and it is possible for something terrible to happen if she stays quiet and ignores it. I am glad of course that she ran into Natsume. She did him a favor and now he’s involved in this situation. That should allow for it to end in the best possible way for all individuals involved. I do wonder just what the former followers are trying to do in that house. Are they trying to support their former master? I can’t help thinking that some if not most of the three are trying to help out even though they are kind of stuck. But it isn’t a guarantee that all three of them are on the same page. I do like the idea of them sticking around to help and actually trying to ward off threats to that family in secret. It is a bit sad for them that they are basically stuck in limbo and are invisible to the residents of that house. I do wonder if perhaps when eventually the father dies that will release them or if perhaps the contract will pass along to the daughter or a future generation. If nothing else this was a nice episode. I do like Natori as a character. Plus it is always nice to have 2 part episodes in a Natsume season. I’m curious if Natsume will talk to him a bit about the Book of Friends or if they will decide to maintain the status quo. The good thing is that no matter what Natori understands that if Natsume is holding something back it is for good reason. The next episode will likely resolve who is behind these attacks as well. At the very least when you combine Natsume, Natori, Sensei, and the other youkai that serve Natori…you can generally resolve a lot of problems. But yeah, I really do just love the consistency of this series. Can always be sure a good episode is around the corner.